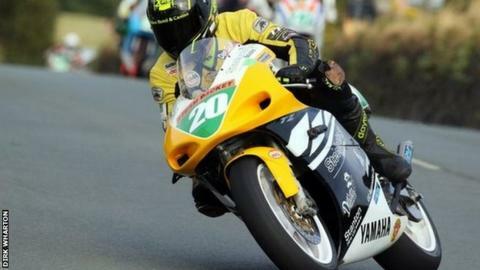 Eight-time TT winner Dan Sayle will make a return to road racing at the Pre-TT Classic Road Races in May, organisers have said. The Sulby racer was seriously injured during last year's Classic TT races after crashing at Ballaspur on the TT course in the Lightweight race. "It has been a long haul since last August, but my determination never deserted me," the 33-year-old said. The pre-TT races are held on the Billown course in the Isle of Man. "Even at my lowest point I wanted to race again and now that I have been discharged from Nobles, I am getting back into a training routine to ensure I am fully fit," Sayle added. Organisers confirmed he will compete in both the pre and post TT events held either side of the TT fortnight. The event's secretary Rachel Palmer said: "It was no surprise to receive not one but two entries from Dan, he made it clear to everyone that he was going to race again despite the serious injuries he sustained in last years' Classic TT and he has proved will power and determination can prove any doubters wrong. 'We all look forward to seeing Dan Sayle back at Billown." Sayle has won eight TT sidecar titles and three Manx Grand Prix solo races in a glittering career. He was also recently crowned a world champion bonnag baker.